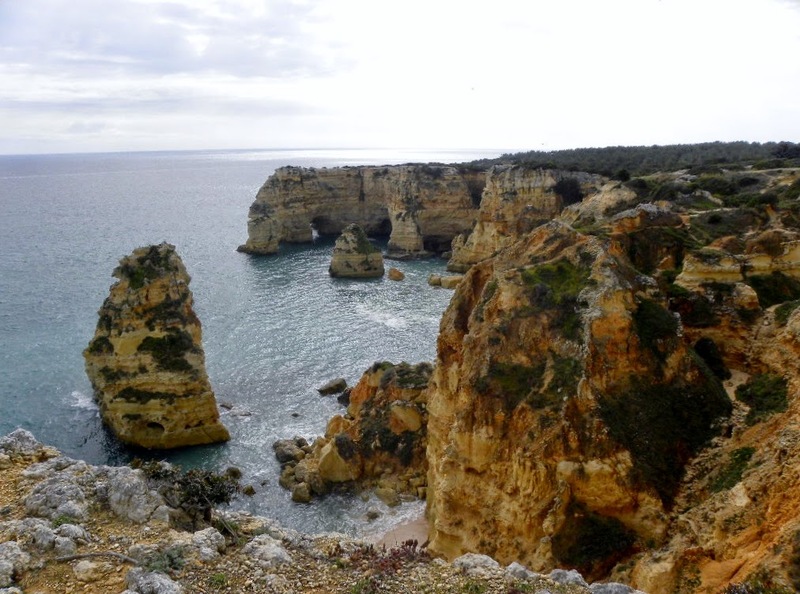 Richer for Wandering: THE ALGARVE, PORTUGAL: The End of the World. 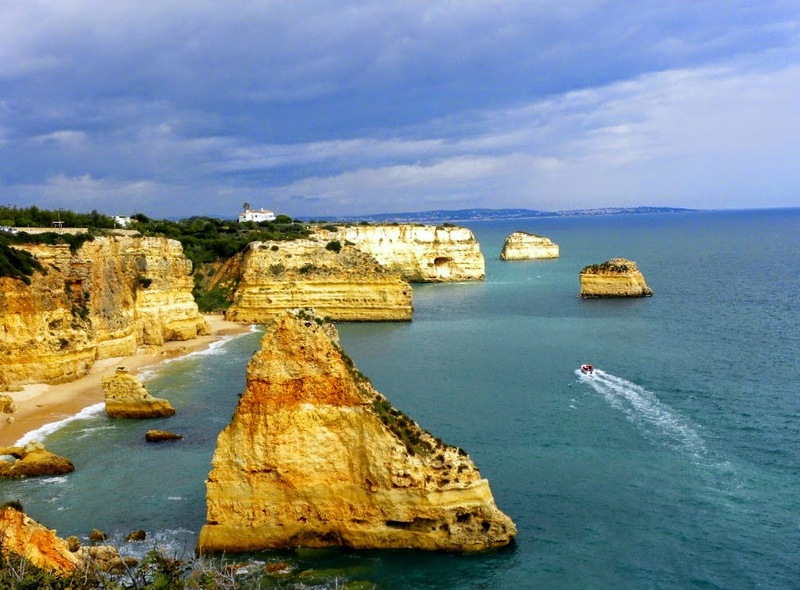 THE ALGARVE, PORTUGAL: The End of the World. We had been living a bit more out of our suitcases the last 6 weeks in Spain, and decided to see what using hangers and drawers was like again. 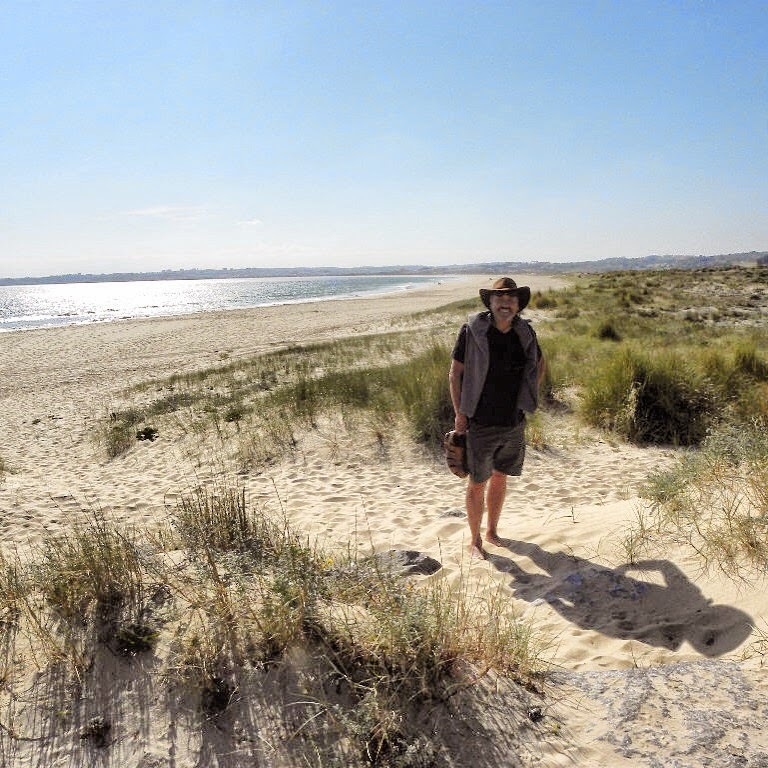 The Algarve beckoned with off-season rates but still remarkable weather. They consider it off- season if the water is cold, yet the temps were regularly in the 64-68F (16-17c) or warmer. 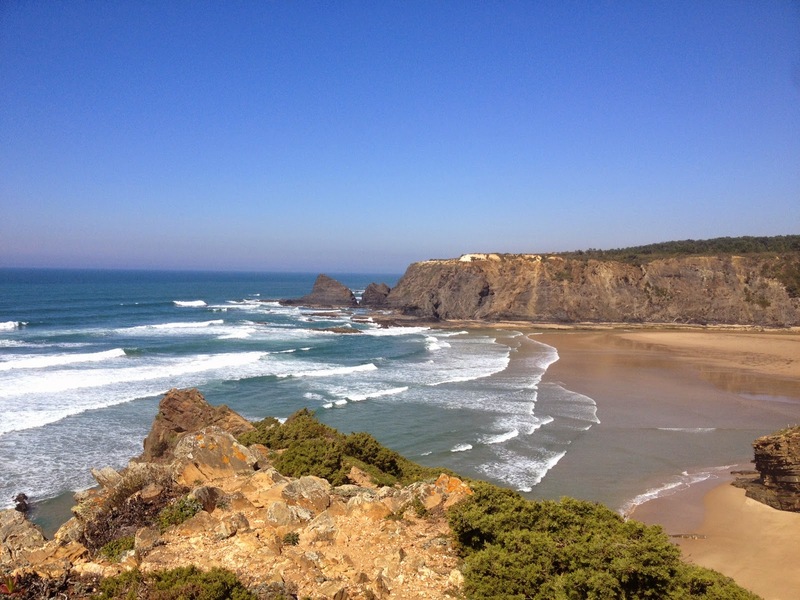 The beaches without tourists became our private little getaway as we marveled at the beauty of Portugal. 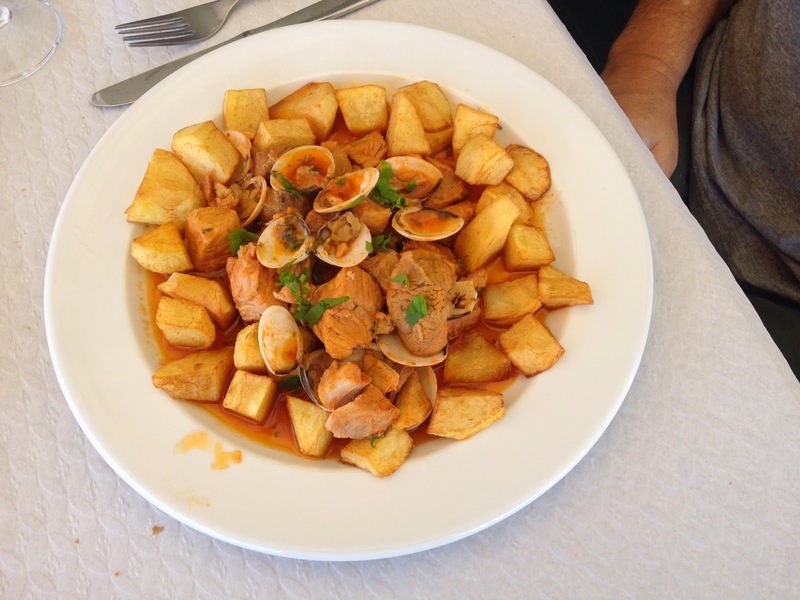 A month in the Algarve and a Portuguese austerity diet I could live with. 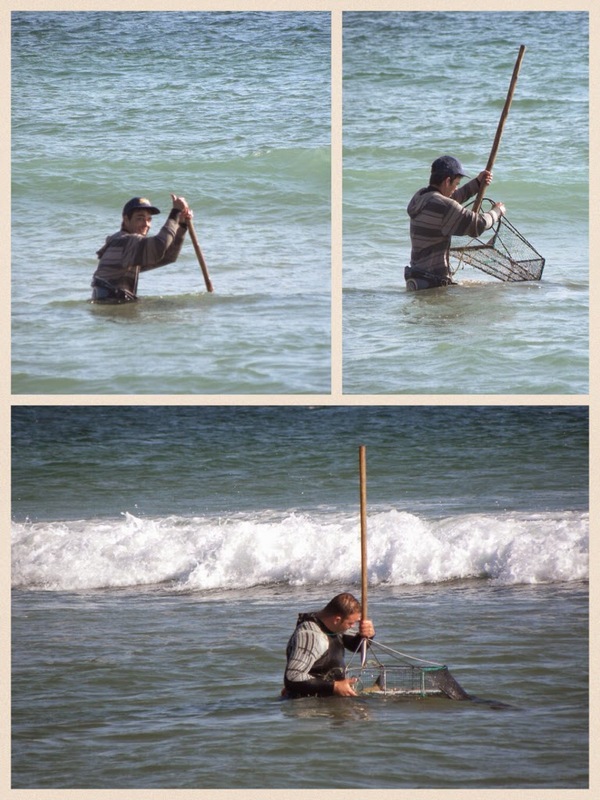 We stayed in Burgau Portugal, it at one time was a small fishing village - and you can still see locals fixing nets and going out every morning, but the village now relies on tourist dollars. Cape Saint Vincent is the south-westernmost point in Europe - In Portugal lore this is where the sun sank in the ocean marking the "edge of the world"
Sometimes I feel I'm back in Southern California - so many beautiful beaches and surfers... The difference is it's only crowded here in the summer! This looks a little messy because we started to eat it before I took the pic - but it is a Porco a Alentejana served in a tiny local cafe "Firmino Bernardino" in Alentejano and the only dish served for the day. We asked for 2nds (oops sometimes it's tough to be on a diet) and the recipe. The secret ingredient was the "Massa de Pimentao" that the porco was marinated in overnight!! 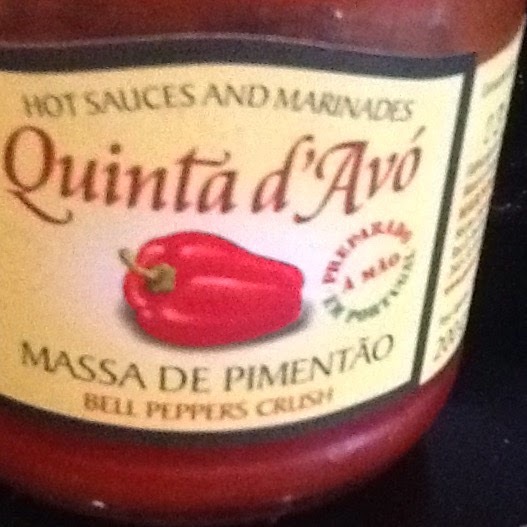 Love this ingredient - we found in a grocery store and have used in numerous dishes! Richard in an Anthony Bourdain moment - checking out the local porco preto (black pig) tastes in Monchique, a mountain hamlet in the Algarve. Typical regional products are sausages and ham from the black or Iberian pig. In Monchique they are also known for a powerful Medronho liqueur (or brandy) made from what the locals call strawberry trees. Of course Rich is getting a taste and goes home with a bottle. What Monchique is really known for is having the only natural springs in the Algarve. Since Roman times, visitors come from all over to fill empty bottles from the springs that are supposed to have healing properties for respiratory, muscular, and rheumatic ailments. We waited in line to fill our little bottles - and I have to admit, we needed a little help after all the local food tasting! These locals were working hard Clam Fishing! I have never seen this done before, but they drag and pull a pole attached to a metal net agitating the sand to catch clams! Cliff Fishing (for those with good balance) in Sagres .... note, there are not safety rails...this is a little dangerous since every year fisherman have fallen to their deaths. Rich was out there cheering them along and voila! A successful catch! A quick photo and back to the cliffs! Albufeira - once a fisherman's village is now probably the most visited city in the Algarve, it is full of bars and restaurants and more bars! 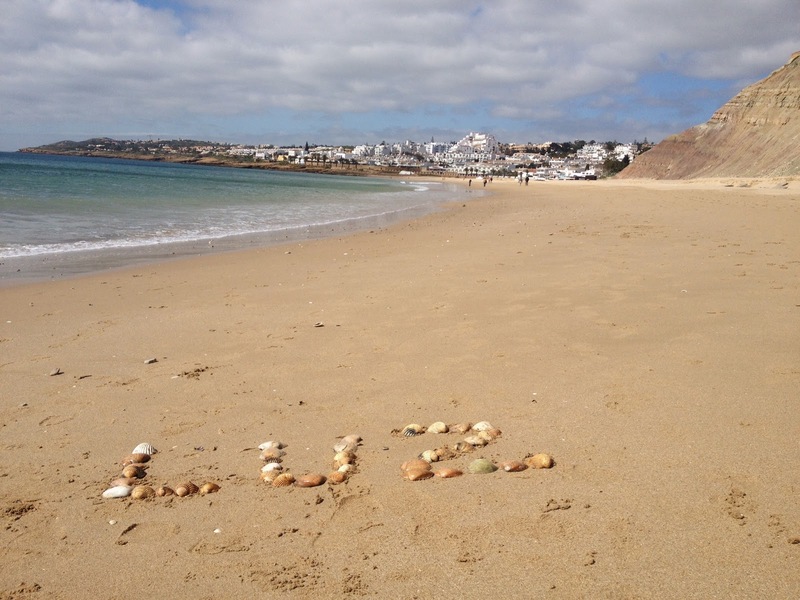 If you are tired of the peace and quiet of nature - go to Albufeira. This is 1 of 7 beaches in this lively town. 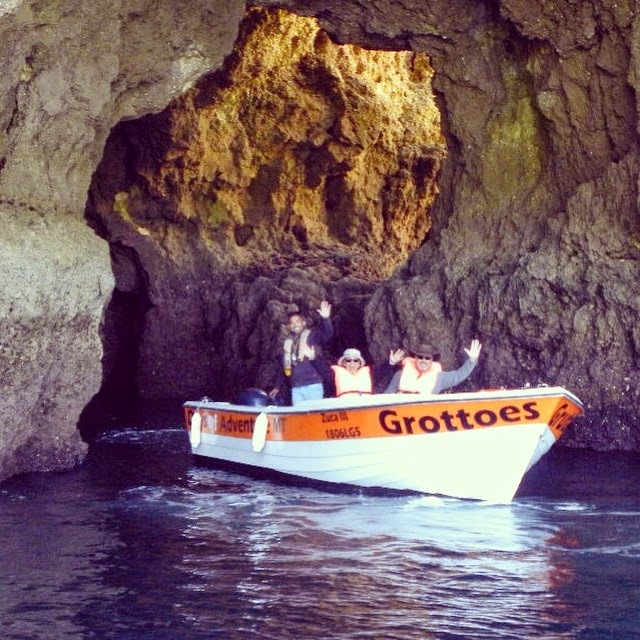 There are so many beaches and coves we did not include in this already long post. (Not to mention quaint castle towns such as Silves). 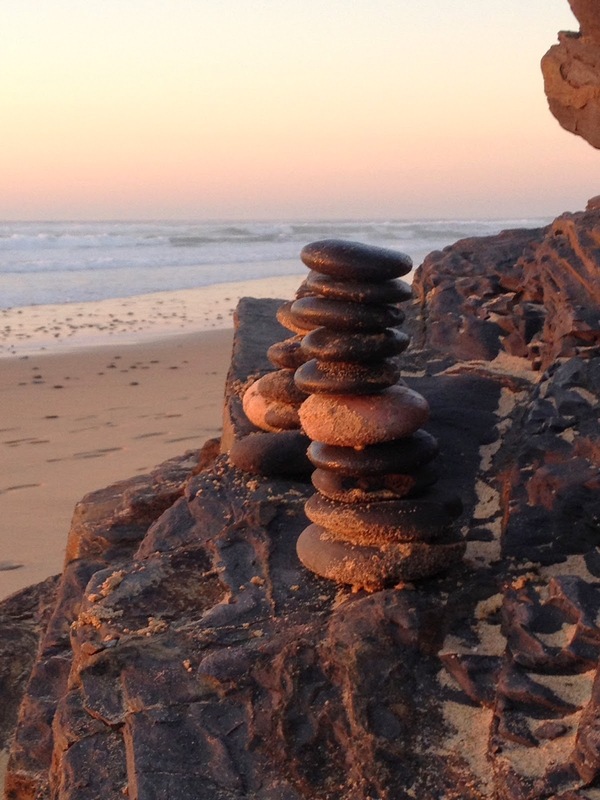 If you are looking for a "Zen get-away" with unspoiled beauty - the south of Portugal fits the bill! 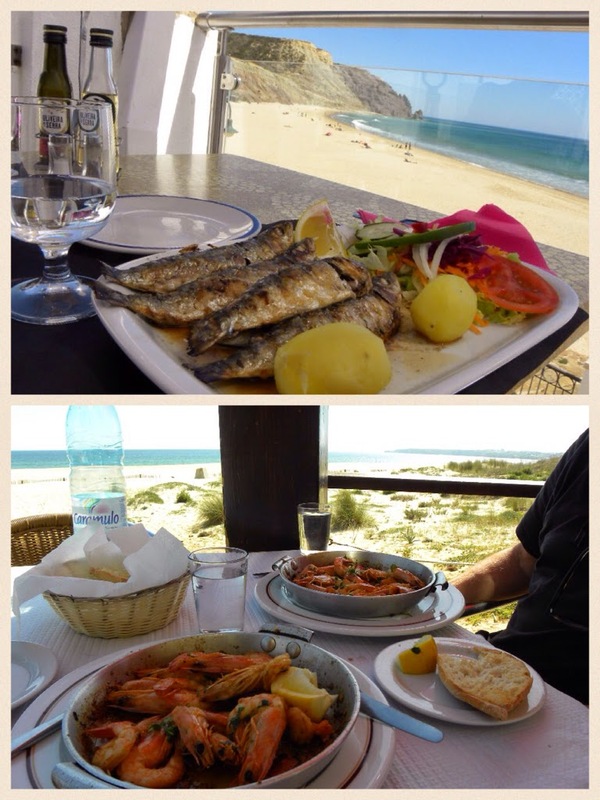 We loved our month hanging out in the Algarve! Just read your article. Good one. I liked it. Keep going. you are a best writer your site is very useful and informative thanks for Sharing.Go for the best quality product possible and research before purchasing one. Wasting money is not something anyone likes, better spend sometimes on research and get the right fishing accessories.